Malbec World Day | Santé Food.Wine.Spirits. You might be wondering what Malbec World Day is and why it’s celebrated on April 17th. I was curious as well, so I did a little research. In 2011, Lis Clément who at the time was head of Marketing and Communications of Wines of Argentina established Malbec World Day. Her goal was to communicate to the world that Malbec was the “pearl” of Argentina. April 17th is significant because it commemorates the day back in1853 when Argentina’s president, Domingo Faustino Sarmineto formally began his quest to transform Argentina’s wine industry. 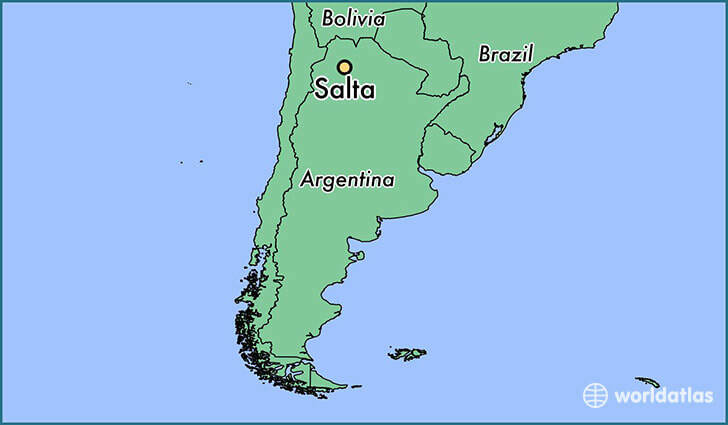 Today, Argentina is the leading producer of Malbec in the world. And according to Wines of Argentina, it has over 97 acres of vineyards planted across the country. To get in the spirit of Malbec World Day, I was sent a few bottles of wine to review from Bodega Colomé winery situated in the Upper Calchaquí valleys in the Salta region of northwestern Argentina. Bodega Colomé is considered one of the highest altitude wineries in the world ranging from 2300 to 3111 meters above sea level. The estate was founded in 1831 and is one of the oldest running wineries in Argentina, which is now owned by the Hess Family since 2001. The high altitude, maximum sun exposure and extreme day to night temperatures of up to 36-degree difference in the Salta region create a perfect scenario for producing intense and expressive wines of Torrontés and Malbec, the signature grape varieties of this area. 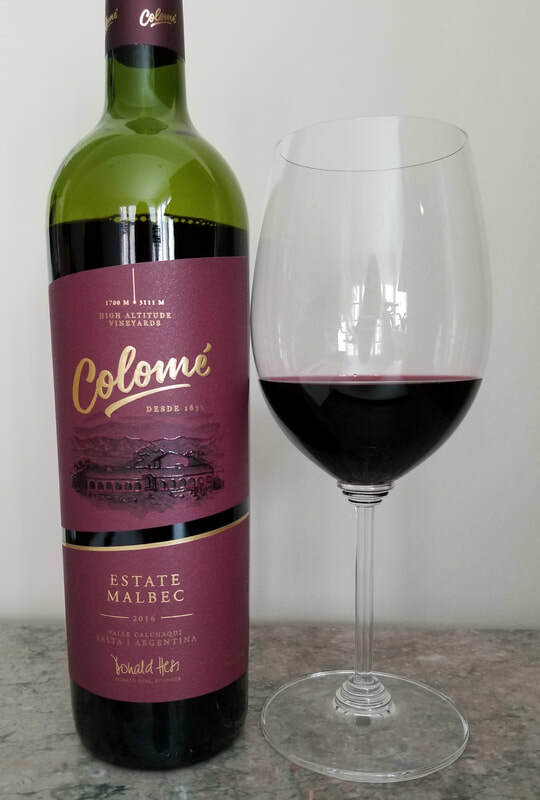 Colomé Estate Malbec 2016 is 100% Malbec blended from four estate vineyards. Colomé vineyard surrounds the winery at an altitude of 2300 meters and represents 65% of the blend. El Arenal vineyard is at 2700 meters and represents 25% of the blend, followed by Altura Máxima vineyard at 3111 meters and La Brava vineyard at 1700 meters, each contributing 5% of the blend. The wine is aged for 15 months in French oak barrels and 6 months in the bottle. Dark purple in color, the nose is greeted with intensely dark and red fruit aromas, floral notes and spice. The palate offers sumptuous flavors of blackberry, blueberry, violet, nutmeg, dark chocolate and a hint of pepper. Tannins are medium with a velvety mouthfeel. This is a beautiful wine to drink now and it will only get better with age. 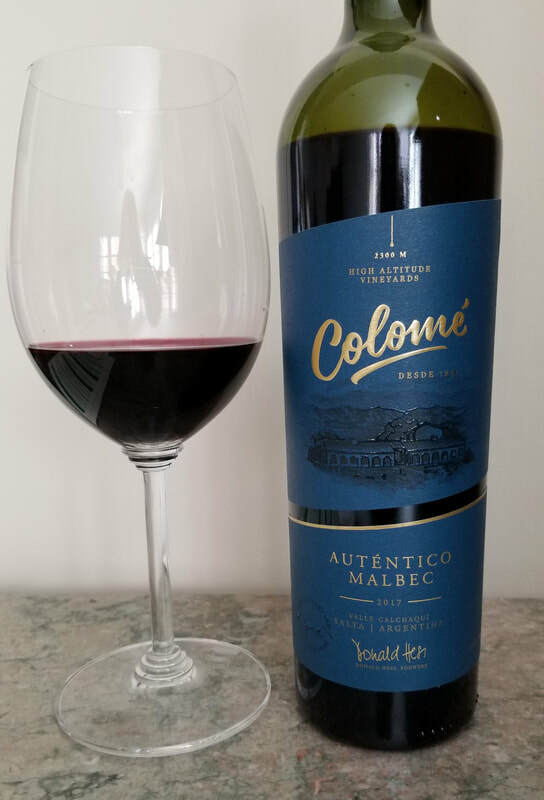 Colomé Auténtico Malbec 2017 is 100% Malbec. The grapes are grown at an altitude of 2300 meters and harvested from vineyards over 100-years-old. The wine is produced in the old winemaking style, using ancient techniques such as pigeage and no oak influence. This is another intensely dark purple color with aromas of dark fruit, cherries, sweet spice and a hint of floral. The palate is lush with concentrated dark fruit, baking spice, sweet plum and the slightest hint of pepper on the finish. It is fresh and crisp with soft tannins and a lengthy finish. This wine has lots of energy and is truly expressive of the terroir. Although this story is about Malbec World Day, I would be remiss if I didn’t introduce another aromatic and flavorful flagship white grape of this region. 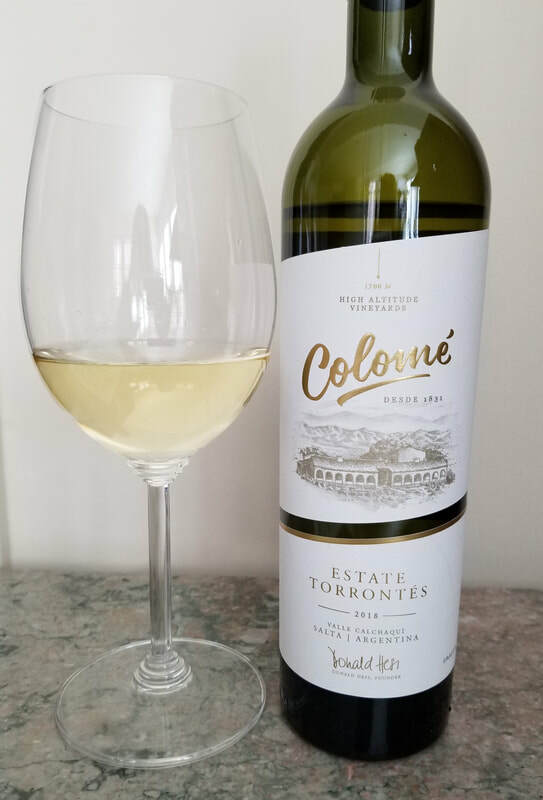 Colomé Torrontés 2018 is 100% Torrontés and harvested from the La Brava vineyards. Due to the microclimate, solar exposure and altitude, the grapes make expressive wines that are aromatic and have great acidity. The color of this wine is pale lemon with heady floral aromas of rose petals, peach and hints of citrus and apricot. Perfume, honeydew, pear, grapefruit and a trace of sweet spice linger on a long finish. This is a beautifully balanced wine with fresh acidity. It was quite enjoyable as an aperitif! So, on April 17th, open a bottle of Malbec and savor this full-bodied wine with its rich fruit flavors and you’ll see what the celebration is all about!